I was recently invited down to the opening night of premium denim brand Denham, worn by the likes of Jordan Dunn and Usher, to check out the new store opening in Central Arcade at the heart of Briggate. 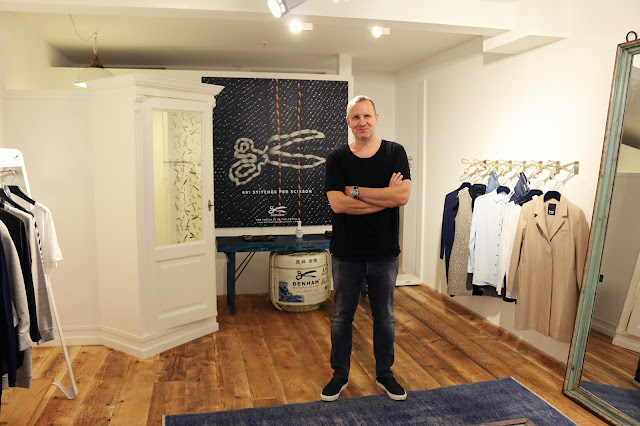 I got the chance to get an interview with the man behind the brand himself Jason Denham, plus a sneak preview of their unique personal shopping experience. 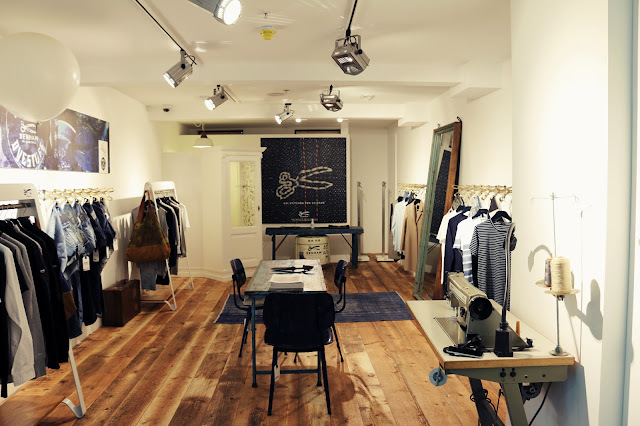 The store has a simplistic and fresh feel about it, offering a full seasonal collection of minimalistic smart-casual wear for both men and women. Their stock includes jeans (of course), jackets, t-shirts, footwear, and they also stock popular accessory brands such as Superior Label Japan and Ocean Republic Jewellery. The man behind the brand Jason Denham (yes that's his real name!) 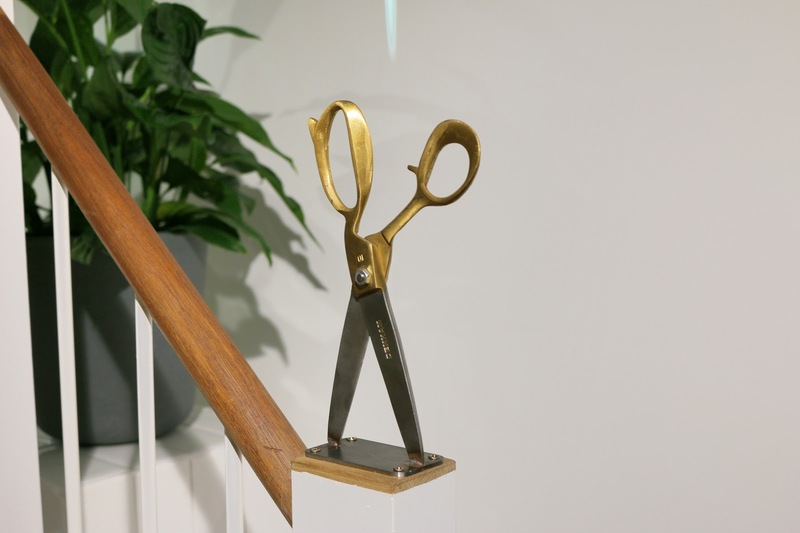 is a keen collector of vintage scissors and you can see this influence in the store with vintage style scissors being used for clothes hooks and other fixture details throughout. 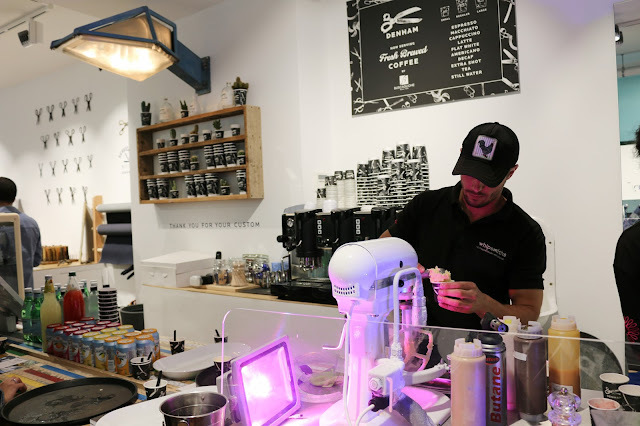 To add to the stores already cool vibe it even has it's own coffee bar where you can grab a drink whilst you shop. Pretty neat. The first question I asked Jason was what made him choose Leeds? His other stores are in Amsterdam, London, Japan, so I wanted to know what brought him to Yorkshire? Next I asked Jason "What is the Denham message?" Jason said they are a story telling brand and that their slogan is "the truth is in the details". They make all their items with the highest quality products which is why you can count on them being long lasting reliable wardrobe pieces. He explained "Fashion is like cooking - the best ingredients make the best pieces". He said it had to be the Rivetto D'oro Denham x Candiani range. Each pair of jeans has the Candiani's seal of distinction - a button made of gold to show it has come from the "best italian Denham mill around". After our quick interview Jason asked if I wanted to see their private wardrobe experience, and being a keen shopaholic I was obviously intrigued and went to check it out. 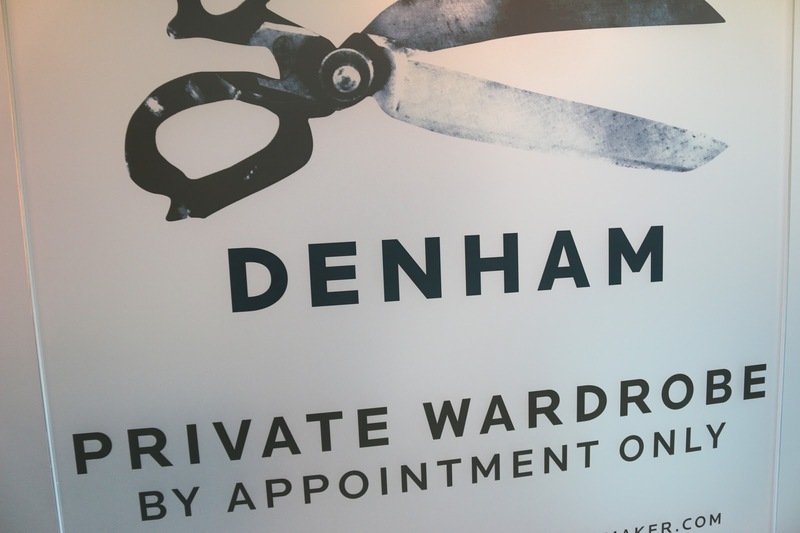 Your typical personal shopper experience includes getting someone to take you round a store and picking out bits for you to try on, but Denham isn't your typical shop. You don't get someone taking you round the shop with the rest of the punters, nope you get your own personal shop! 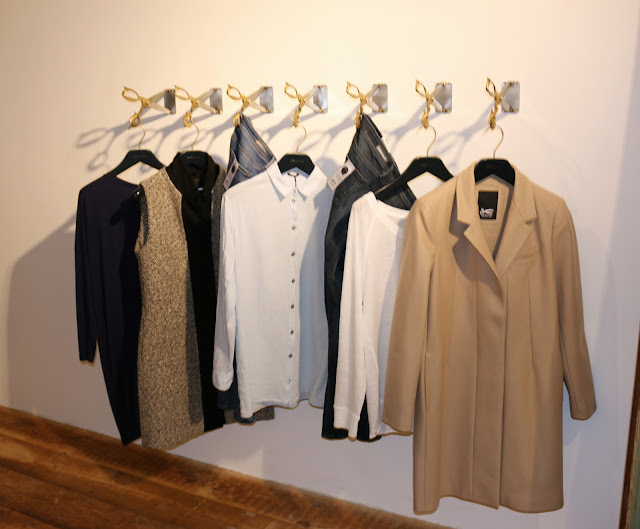 The idea is you book in advance giving your size and preferences, and the team then put together a collection from the store for you to try on privately. Wow! The aim for Jason and his team is to bring back the good days when you knew your tailor, (butcher, candle stick maker) by first name basis and formed a more personal connection with each other. As Jason says in his own words "with online shopping becoming so popular you have to do things differently - retail shopping should be a fun experience, otherwise you might as well buy online." So that's why they offer this very unique way of shopping. I've got to say I'd love to try it myself, it's not something I'd do often mind you but I think for a special occasion it would be amazing, imagine an afternoon with the girls trying on swanky clothes in your own personal shop with a glass of wine? Sounds like my cup of tea Rioja. Whilst the women's range has some beautiful pieces in reality I'm not going to be spending over £100 on a shirt or pair of jeans very often (i'm a yorkshire girl who loves a bargain after all!!) however I do think that investing in a decent pair of jeans that will last you a while and not go baggy at the knees after a few washes is really worth it, so I'd be happy to get some myself. Now that the weather is well and truly on the way to Autumn it's worth checking them out, a good pair of jeans is essential to an A/W wardrobe. What do you think, would you be able to part with £100 for jeans? 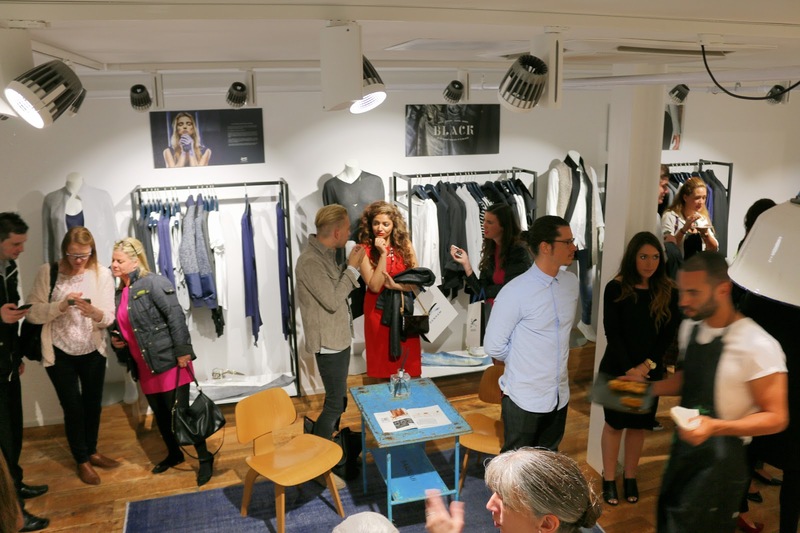 What do you think of the personal wardrobe experience? It sounds like such a high end experience to go to his store! I love the idea of all the scissors. Great post! Wow i've always wanted to try out a personal shopper. I love the items they picked out for you! Great post, Gabby! I hope you had a nice time at the event. 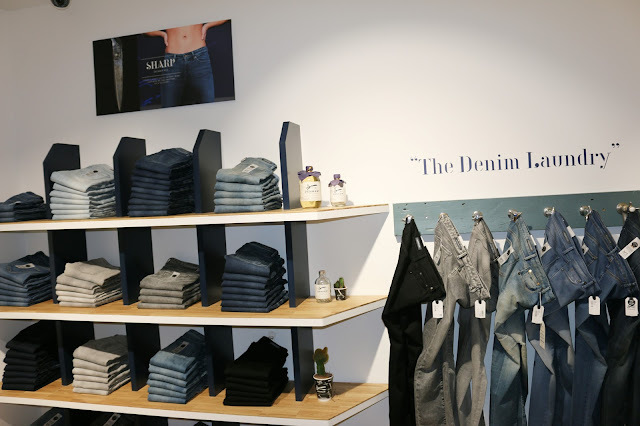 It's great to hear that they are dedicated to producing high-quality denim. I need a few more pairs in my wardrobe!